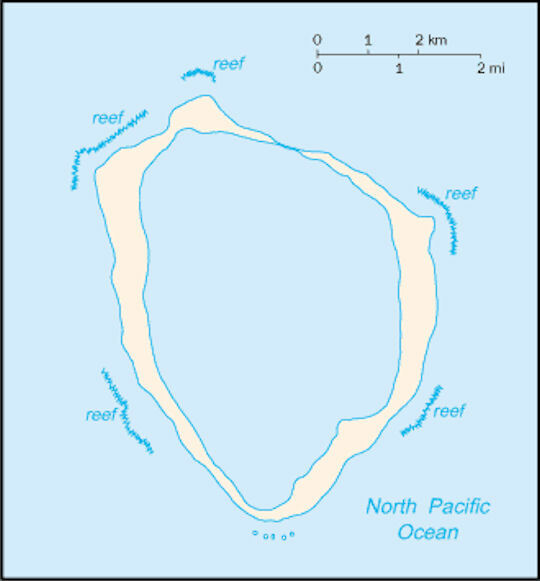 The atoll reef is approximately 12 km (7.5 mi) in circumference. Situated around 800 miles west of Acapulco, Clipperton (or as the French style it, Ile de la Passion) is an abandoned island with a strange history, a unique biosphere and an obscure lagoon filled with ancient marine life. 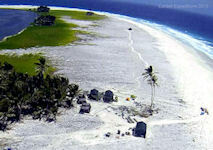 The atoll has no permanent human population. Clipperton atoll has no permanent human population. The current name comes from John Clipperton, an English pirate and privateer who fought the Spanish during the early 18th century, and who is said to have passed by the island. Some sources say he used it as a base for his raids on shipping, but there is no documentary evidence. 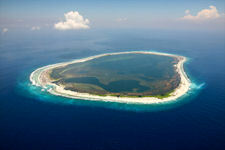 Although the islet was discovered in 1705, France took possession only in 1858. After the confirmation of French sovereignty by an arbitration of Victor Emmanuel III of Italy in 1931, a decree of June 12 1936 attached it to the "Government of the French Establishments of Oceania". 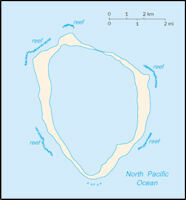 Clipperton Island is located in the Pacific Ocean by 10°18' North and 109°13' West. It is more than 6,000 km from Tahiti and 1,300 km from the coast of Mexico. Surrounded by an Exclusive Economic Zone of 425,000 km², the island is an isolated atoll of subcircular form of 6 km² of which about 2 km² of emerged land. 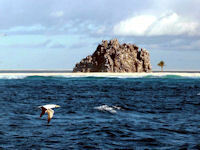 It has a lagoon closed and isolated from the masses of ocean waters, surrounded by a narrow strip of land. During severe storms, the island receives in the northeast and southeast areas the oceanic water that then flows into the lagoon. 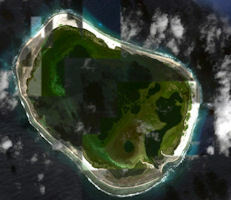 The atoll is surrounded by a coral platform exposed at low tide. The island encompasses at its southeast end a rock of volcanic origin (29 meters). The island was discovered on Good Friday, 3 April 1711 by Frenchmen Martin de Chassiron and Michel Du Bocage, commanding the French ships La Princesse and La Découverte. 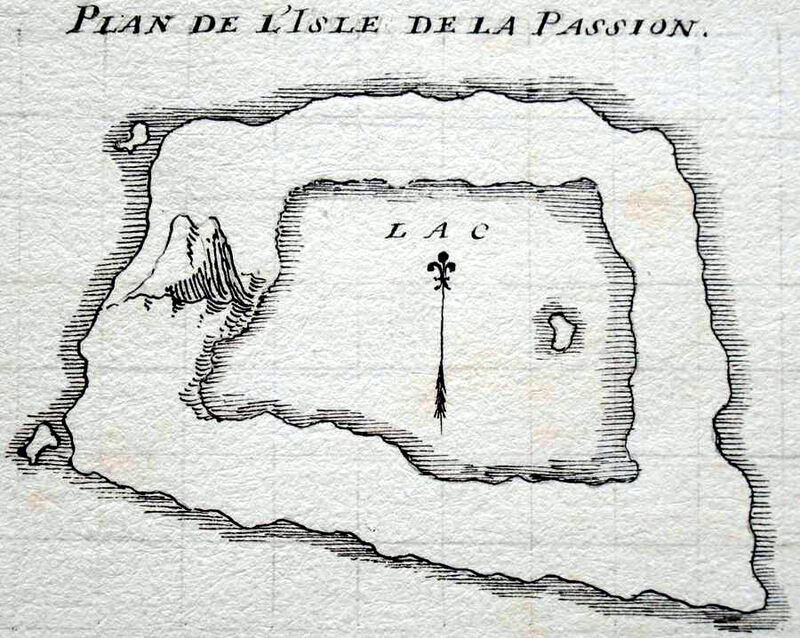 It was given the name Île de la Passion (English: Passion Island, from the "Passion of Christ", not "Love Island"). They drew up the first map and claimed the island for France. 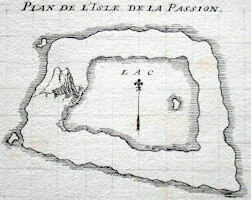 The first scientific expedition took place in 1725 under the Frenchman M. Bocage, who lived on the island for several months. In 1858 France formally laid claim. As part of the maritime public domain and as such entered in the State property register by virtue of an interministerial decree of 18 March 1986, Clipperton Atoll is placed under the jurisdiction of the High Commissioner of the Republic In French Polynesia, representing the State. The fishing potential of the area is poorly known, as the French research organizations have not carried out systematic surveys of the resource; It is mainly composed of migratory species (tuna and tuna). In 1981, the Overseas Academy of Sciences expressed the wish that the atoll be endowed with an economic life of its own. To this end, on October 13, 1986, an agreement to occupy the public domain of Clipperton was concluded between the High Commissioner of the Republic in French Polynesia, representing the State, and the Society of Study, Development and Operation of Clipperton Island (SEDEIC), for the establishment and operation of a permanent fishing base at Clipperton. 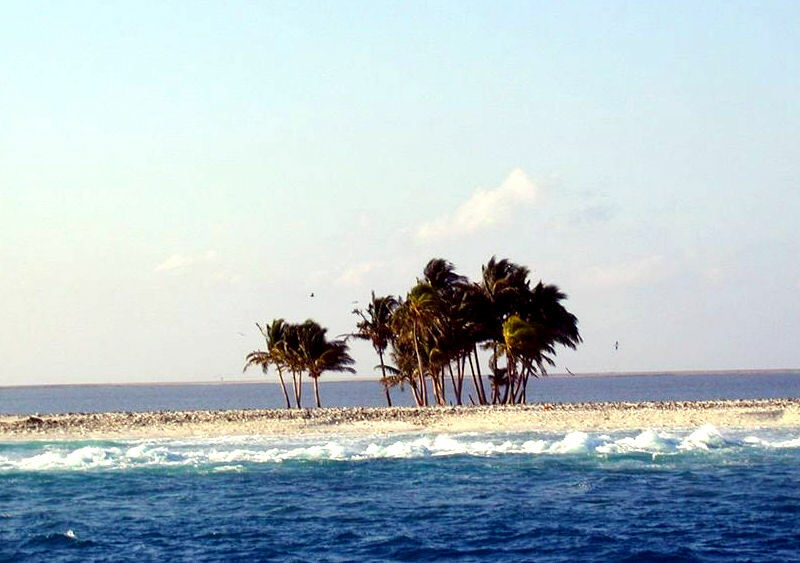 Given the economic constraints linked to the remoteness and the small size of the atoll, no realization was undertaken, apart from studies, to realize this project. This project has been abandoned. 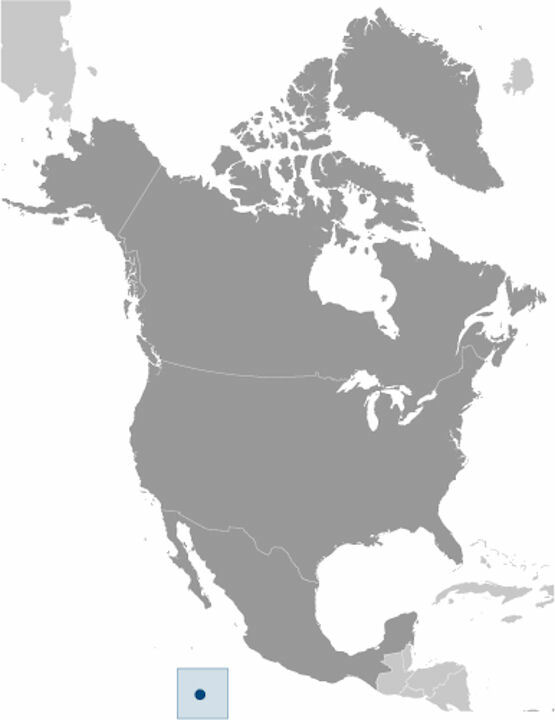 Clipperton's position enabled France, in 1973, to join the Inter American Tropical Tuna Commission (IATTC), which opens one of the richest fishing grounds in the world. France participates actively in the work of IATTC, both within its permanent structures in La Jolla (California, United States of America) and at annual technical conferences. 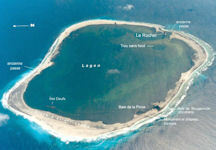 Today Clipperton is a French territory and provides with one of the most isolated ecosystems in the world, one which might reveal not only the extent of current climate change through study of its coral reefs but also a place in which a consistently invaded body of water in the lagoon somehow remains drinkable, a factor of major interest to participating scientists. Apart from the forgotten Mexican colony that inhabited the island at the start of the last century, Clipperton has seen very few humans in its history, and even the small number who have recently visited have failed to provide wholly accurate documentation of what the island holds. 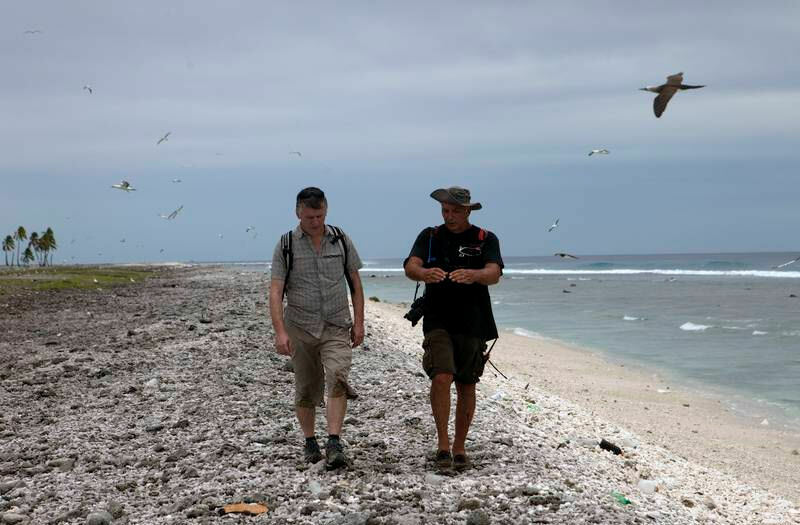 Some accounts talk of the substantial problem provided by rats – now the apex predator on the island - left over from sinking ships; others describe the coral reefs around the atoll as making access to the island almost impossible; still others disagree about how long it takes to walk around the entire island (accounts vary from 2 to 7 hours). Despite regular saltwater incursions, Clipperton’s lagoon somehow remains freshwater and drinkable. It happened that there was another island about 400 miles southwest of Clipperton, and rich in the same deposits that made that place worth possessing, for which adventurous miners were moment looking. As late as July 1898 a vessel named Moonlight left Altata, Mexico, on a voyage in search of this latest mysterious island, and spent fifty-two days of fruitless labor toward this end. Her captain failed to find the place, and, fearing that his provisions and water would run short, returned home to report that either the rough charts of old Captain Martin and his associates were in error, or else that some strange seismic phenomenon had caused the lost isle to disappear, years ago, perhaps, for all that mortal soul knows. Spice was added to this romance by the report that another San Francisco captain located the place definitely a year or two before and was said to have found a small colony there — which colony was still on the island shipping guano in their own schooners, manned by numbers of their own party, to the leading ports on the Pacific slope of North and South America. Quite a number of expeditions had been made with the object of wresting this valuable secret from the handful of men in whose possession it is, and of participating in the spoils. Although the stories told about the unknown island varied considerably, they all agreed that it existed somewhere about 400 or 500 miles southwest of Clipperton, in a low coral atoll covered with the richest phosphates. The place also had its legends of pirates’ treasures, which may or may not have had any foundation in fact. This island turned out to be a rumor. Prior to the 20th Century, sailors frequently mistook low clouds for land masses, and in later times this was given the name Dutch capes. In the English language, when something goes wrong, they put the word Dutch in front of it. Sometimes something “Dutch” is just Dutch. Strong nautical associations remain clear, as would be expected with two sea-faring nations. The term "Cape Fly-Away" was also used for a cloud-bank on the horizon, mistaken for land, which disappears as the ship advances.